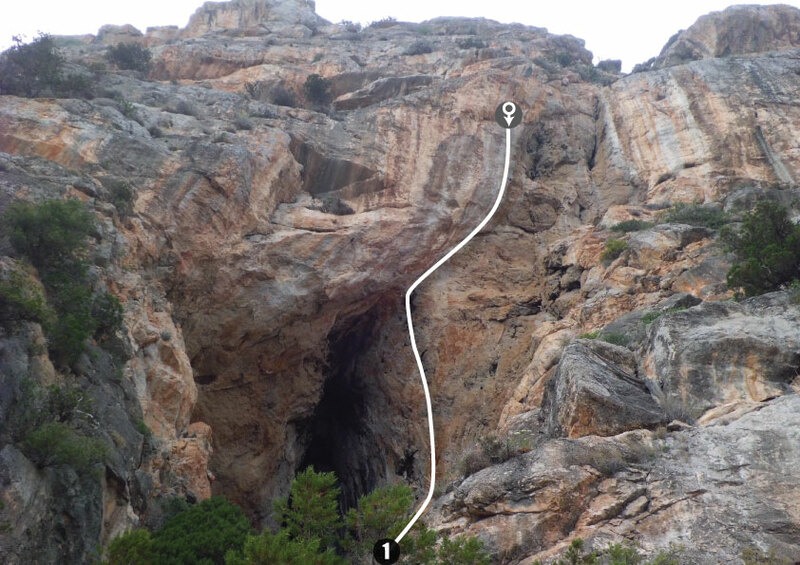 Although this route is indicated in the Desnivel guide-book, there are actually NO bolts! Don't get your hopes up for this one - it doesn't exist! / Aunque la vía está marcada en la guía de Desnivel, las chapas no existen. ¡No te hagas ilusiones para ésta! A project. Could be 8a+/b? / Un proyecto. ¿Puede ser 8a+/b?